It's all about making the tech work reliably in small devices. One of the biggest challenges in tapping millimeter waves (mmWaves) for 5G is overcoming signal interference. Because they're easily disrupted by something as simple as someone walking in between a transmitter and receiver, mmWaves require technological finesse to be harnessed reliably. To that end, Qualcomm today unveiled what it says is the world's "first fully-integrated 5G NR mmWave and sub-6 GHz RF modules for smartphones and other mobile devices." These are the QTM052 mmWave antenna module family and the QPM56xx sub-6 GHz radio frequency (RF) module, and they'll pair with the company's previously announced Snapdragon X50 5G modem -- making next-gen phone networks a reality very soon. If you recall, a bunch of major smartphone makers, including Samsung, LG, Sony, HTC and Xiaomi already said they'll be working with Qualcomm, and most of them commited to delivering X50-powered phones by the first half of 2019. Those devices will likely use the new antenna and RF modules announced today. Qualcomm told Engadget it has already shipped samples out to its device partners, and will be working with them to figure out the best placement to minimize signal interference due to hand blocking. Up to four modules can be used in a smartphone, and each of them is barely the size of a fingertip. 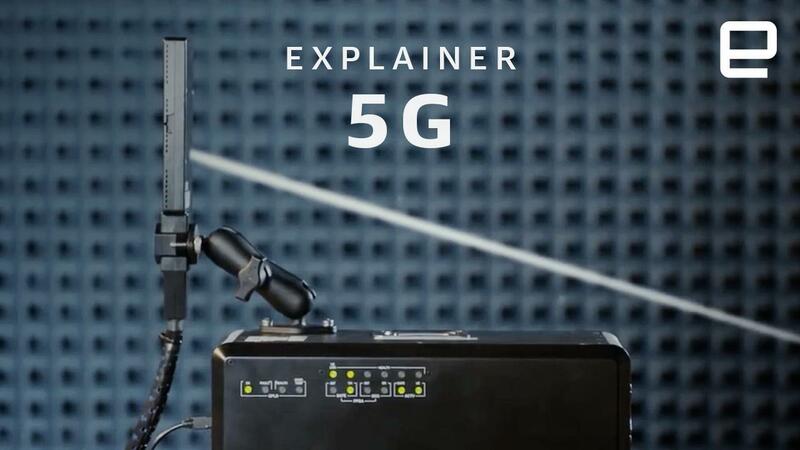 An integrated 5G NR radio transceiver and other components, together with the X50 modem, help the antennas seek out mmWaves in supported bands. According to the company's statement, "a working mobile mmWave solution ... was previously thought unattainable." Now, however, Qualcomm said it is "ready for large scale commercialization," which means we are that much closer to seeing 5G devices in the real world soon. There's still a way to go before next year's deadline, and in the meantime, carriers are racing to get their 5G networks ready. It won't be too long till we're all livestreaming our favorite shows in 4K VR wherever we go and buffering time becomes a thing of the past, so treasure the mental breaks while you still have them.